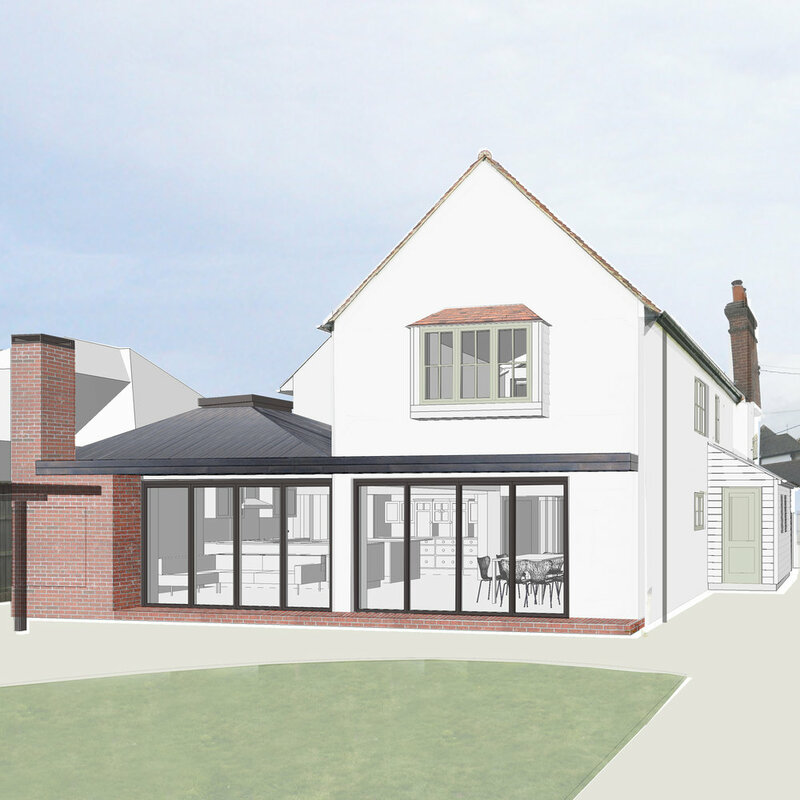 In July 2018, Syndicate West Architects worked alongside Curtins Consulting and Beacon Planning to help our clients gain Listed Buildings Consent for a renovation and extension to their Grade II listed home in Essex. The scheme responds to parts of the house dating back to the 17th century and the vistas over what was once the farmland. The architectural strategy was to reveal the original cellular plan of the old parts, which are living spaces related to traditional chimneys. By carefully taking away inappropriate 20th century additions, we made room to insert a similar palette to the old, in a 21st century language. A new asymmetrical truncated roof spans over a new winter room and the existing kitchen. The roof is supported by a third chimney, which acts as a bookend to pivoting glazed doors. The doors offer views out over the old farmland.